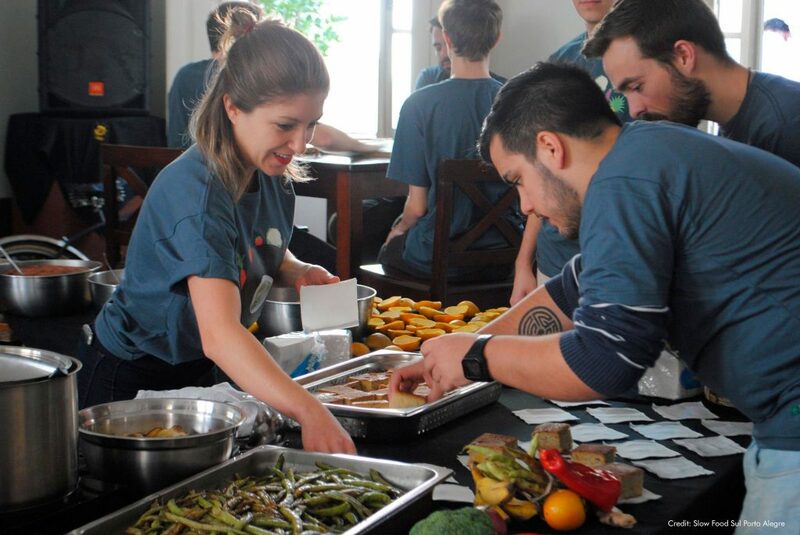 From Uganda to Japan, Brazil to the Netherlands, the global Slow Food Youth Network (SFYN) joins forces for World Disco Soup Day. 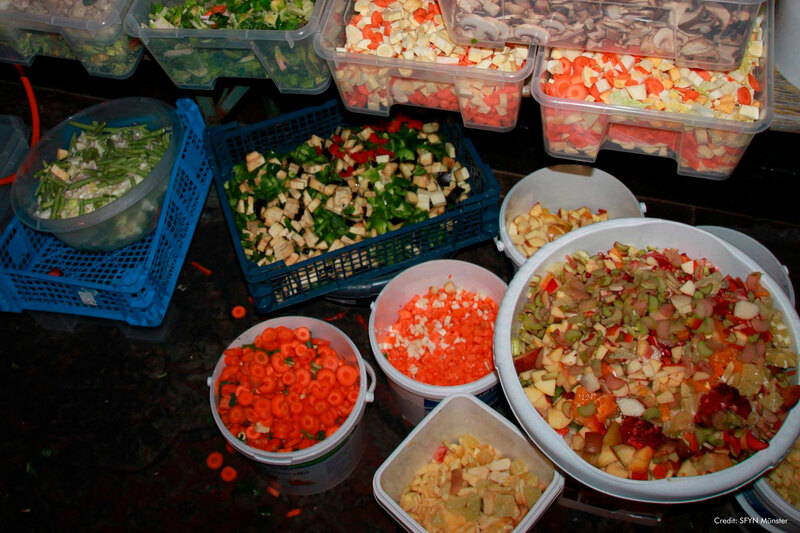 On this day, all over the world, we throw parties where organizers and visitors turn foodwaste into a discosoup! An event to cook, eat and dance together. Showing the fun way to save food, while thinking seriously about the amount that goes to waste. Get ready for the third edition of World Disco Soup Day on Saturday April 27, 2019! Why fight food waste with a discoparty? Today, one third of the food produced for our consumption is wasted. It is being fed to bins. Saving 25% of this, would be enough to feed 870 million hungry people in the world, according to the Food and Agriculture Organization of the United Nations (FAO). We all care about this big problem and we want to change this. Filling bellies, instead of bins! It’s not just about telling you to not to waste food, but also celebrate when you do save food. That is what we do with Disco Soup! Disco Soup started 7 years ago in Berlin, Germany, as Schnippeldisko, a ‘protest soup’, against food waste that fed 8000 people. From then on, they started to spread across the world as a fun, meaningful way to bring this crisis into focus. Many different editions have taken place. Each Disco Soup event was individually run, relying on local volunteers to organize every detail, until in 2016, the Slow Food Youth Network Brazil organized a national Disco Soup Day. So, why not do the same internationally? 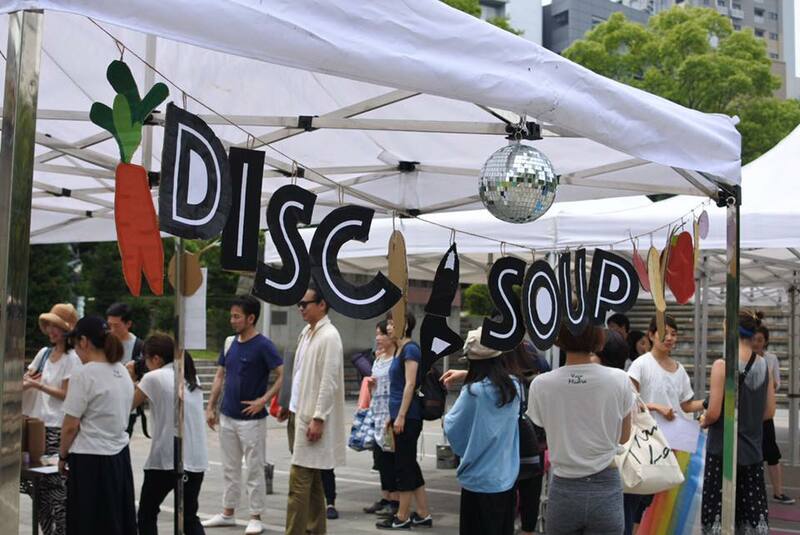 We got together with our international network of food producers, activists, students and others food professionals and decided to organize the first World Disco Soup Day! Now on April 28 we once again call for attention and action against global food waste, by organizing one of the best known projects of the Slow Food Youth Network: Disco Soup. Caio Bonamigo Dorigon, Brazilian SFYN leader and one of the coordinators of the event. On World Disco Soup Day, organizers, attendees, and chefs will collect, chop, and cook leftover food or any food that would otherwise go to waste, such as ‘ugly’ food, the products which do not conform to commercial aesthetic standards. During the preparations, and for a long while after, music will be pumping and everyone will be dancing! 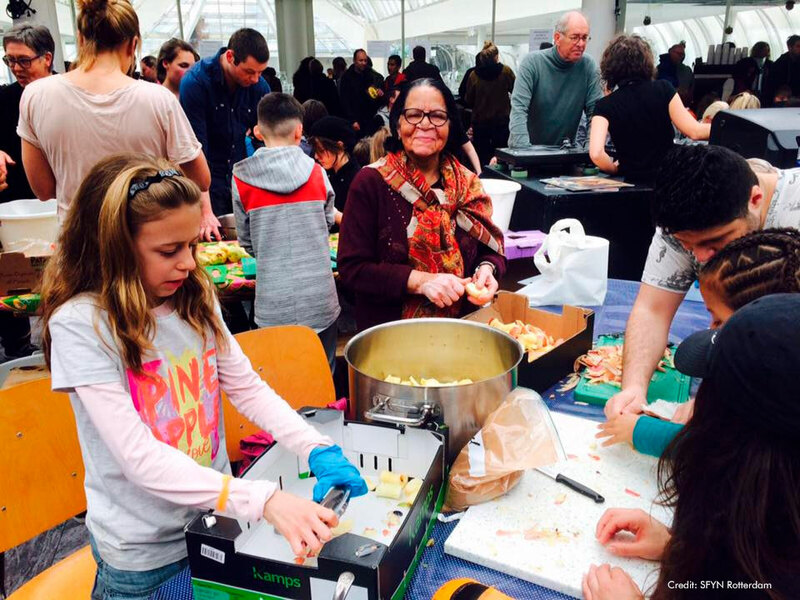 It is a fun, gastronomic and musical event that brings together young people, students, children, seniors, cooks and all the supporters of this battle against food waste. It is also a transformation tool that brings together diverse knowledge for education and awareness. April 27: Save the date & join! Throw your own Disco Soup. Anyone can do this! We have step-by-step guides ready to help you get everything done. Via Instagram and Facebook. Follow us, and even better, if you are doing something to fight food waste, tag us! Give World Disco Soup day the attention that it deserves! Write to our coordinator: valentina@slowfoodyouthnetwork.org for press info. Step 1: Find your friends! You’ll need a group of enthusiastic people who can help you collect all the food waste, cut a lot of veggies and who love to dance. Step 2: Find an easy-access location where people can sit or dance with access to electricity. Step 3: Find food waste! 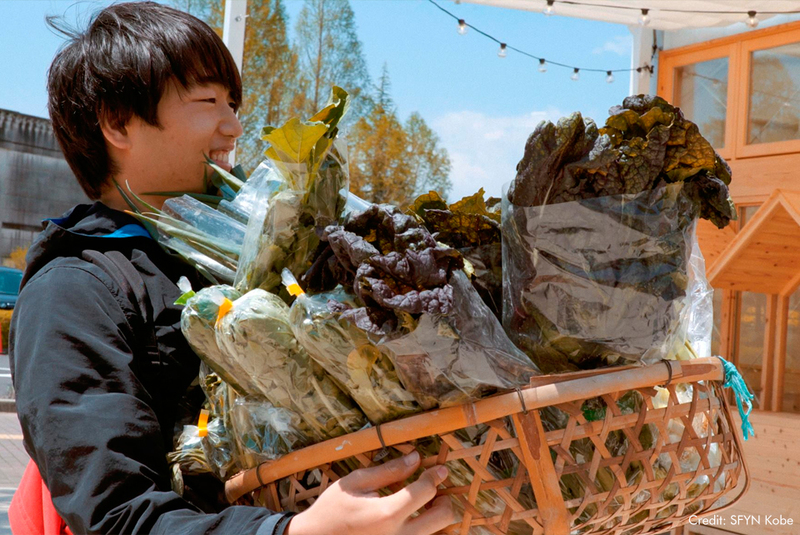 Ask farmers, (super)markets and restaurants if you can collect their unsold food that would otherwise go to waste. Step 4: Make an invitation and ask people to bring their own bowls and cutlery. Create an online (Facebook) eventpage, link to the WDSD page and share some inspiring photos or videos beforehand. Create a buzz! Step 5: Add your Disco Soup-song to the World Disco Soup Day 2019 playlist. Did you know that there’s a global spotify playlist where everybody can add their own Disco Soup music? We’ll be dancing to the same beats worldwide! Step 6: Serve soup and dance! – filling bellies instead of bins.